PhD, Counseling Psychology, Howard University in Washington, D.C.
Nic Rider, Ph.D. was the first Randi and Fred Ettner Postdoctoral Fellow at the Program in Human Sexuality, with research and clinical work focused on transgender health. Dr. Rider’s clinical training has included psychotherapy and assessment experiences in a university counseling center, hospital settings, private practice, community clinic, residential treatment, and juvenile justice settings. Dr. Rider has professional interests in the areas of gender and sexual identity development, intersections of identity, discrimination and microaggressions, sexual trauma/abuse recovery, and social justice advocacy. 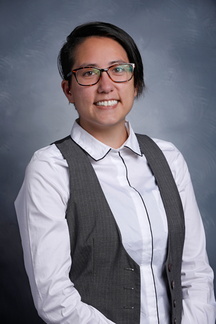 Dr. Rider is on the executive board for the Asian American Psychological Association’s Division on LGBTQQ Issues and participates in committees advocating for sexual and gender minorities. Dr. Rider received a doctorate in Counseling Psychology from Howard University in Washington, D.C.
Gower, A. L., Coleman, E., McMorris, B. J., Rider, G. N., & Eisenberg, M. E. (under review). Perceived gender presentation among transgender and gender-nonconforming youth: approaches to analysis and associations with bullying and mental health. LGBT Health. Gower, A. L., Rider, G. N., Brown, C., McMorris, B. J., Coleman, E., Taliaferro, L. A., & Eisenberg, M. E. (under review). Protective factors against depression, suicidality, and substance use among transgender and gender diverse adolescents. American Journal of Preventive Medicine. Eisenberg, M. E., Gower, A. L., McMorris, B. J., Rider, G. N., & Coleman, E. (in press). Emotional distress, bullying victimization, and protective factors among transgender and gender diverse adolescents in city, suburban, town and rural locations. The Journal of Rural Health, accepted for publication May 15, 2018. Rider, G. N., Plunkett, C., & White, E. K. (2017). Gender socialization in aging. In K. Nadal (Ed. ), The Sage Encyclopedia of Psychology and Gender (pp. 741-744). Thousand Oaks, CA: SAGE Publications, Inc.